Dialogue in a book is one of those things that can instantly either draw me in or put me off. I love great dialogue and I appreciate the work that goes into it. So what can you do if you want glowing conversations too? We writers are studiers of human nature. Don't be afraid to take note of the speed, wording, and rhythm of conversations around you. The best way to learn is to immerse yourself in it! Study real dialogue then study written dialogue. Think about what makes something feel good when you read it. The thing about speaking to other people, and you may have noticed this, is we don't often answer each other's questions directly. In fact, a lot of conversations have weird patterns. I might ask you, "hey, did you take the cat outside? "* and you might respond with only two words: "it's raining." I might quickly point out that, "we have the vet in the morning," to which you might say, "well I can't very well be in two places at once now can I?" Conversations often have undertones, or things that don't need verbalising either because of recent history or the context around the people. Use that! Characters aren't always going to say everything they think or tell the truth or even directly answer a question and that's the beauty of dialogue. Like, some of the conversations I have with people are either so full of stops and starts or so boring that there's no value in putting them in a book. Avoid those. 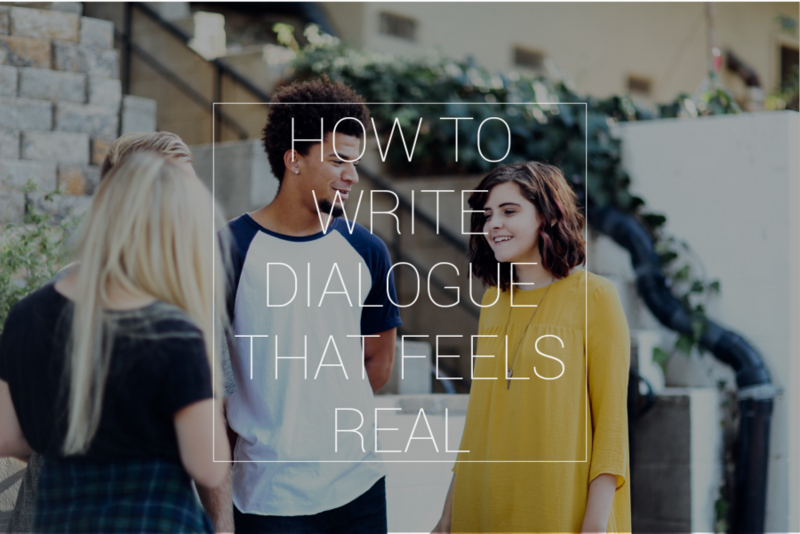 Think about making dialogue plot relevant and understand that there's a line between dialogue that feels real and dialogue that's so real it's off-putting. Transcriptions of speech are hard to read, and that's why we don't write dialogue that's word for word real... unless it's plot relevant of course! I have read a few books that had transcriptions in them periodically and those were great. The balance is hard but I believe in you. You can find it. I think one of the most compelling things about good dialogue is being able to say who is saying what even without tags, because the participants' voices and word choices are so strong. Even if there's only a subtle difference it's important to recognise no two people speak the same. Think about whether they like to keep things short versus stretch things out. Do they most enjoy long words or short? Are they a liar or too honest? All these things come into play! *don't stress about the cat, he's an imaginary cat and he's OKAY.